From complete systems to maintenance and upgrading, Bargain Hardware have you covered for everything. Find all the cheap, reliable and refurbished QuantaGrid D51B-2U parts you could possibly need here. 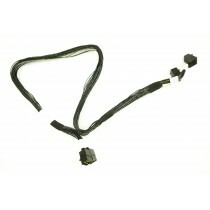 Quanta D51B-2U - Dual Mini-SAS HD Cable 26"